As an avid bodyboarder and diver, I have always had a great passion for the sea and its creatures, spending many months searching for the most unspoiled waters. I always found sharks the most fascinating of all the creatures in the ocean. My first encounter, during a diving trip in Thailand, left a deep impression of these amazing animals. It was only some years later that I realized that the world shark population is under serious threat. This happened when I moved to Hong Kong a few years ago for work. Hong Kong is the gateway to China and the capital of Asian delicacies, many of these controversial as they often consist of endangered species with questionable benefits for human health. While exploring my new hometown, I discovered a whole quarter dedicated to the wholesale of all kinds of Chinese medicines and supplementary foods. One product all these shops was selling was shark fins. My Chinese friends told me that shark fins are the ultimate delicacy for banquets, in particular in Southern China where people care a great deal about special foods and their potential health benefits. The shops didn't feature just one or two pieces; thousands of fins were on display inside the shops and piled up in front of them. Shark fins are on sale all over Hong Kong, people can even buy them at the airport. Since I have a big interest in Chinese culture and medicine, I tried to understand what the buzz is all about. The traditional belief is that shark fins, which consist of cartilage alone, are a potent health enhancer. The myth behind this is that sharks don't get cancer, so eating their most vital part could save people from cancer too. However, shark fins are not really a part of Chinese medicine and they are only thought of as a light health supplement. They are very expensive though. So, actually, the biggest thing people get out of shark fin soup is “face” as, because of the cost, it is a big status symbol when served during banquets. It was clear that tons of shark fins up for sale could not be healthy for the environment – so I did some research on the topic and realized that the endangered state the shark species is in is due to drastic overfishing. 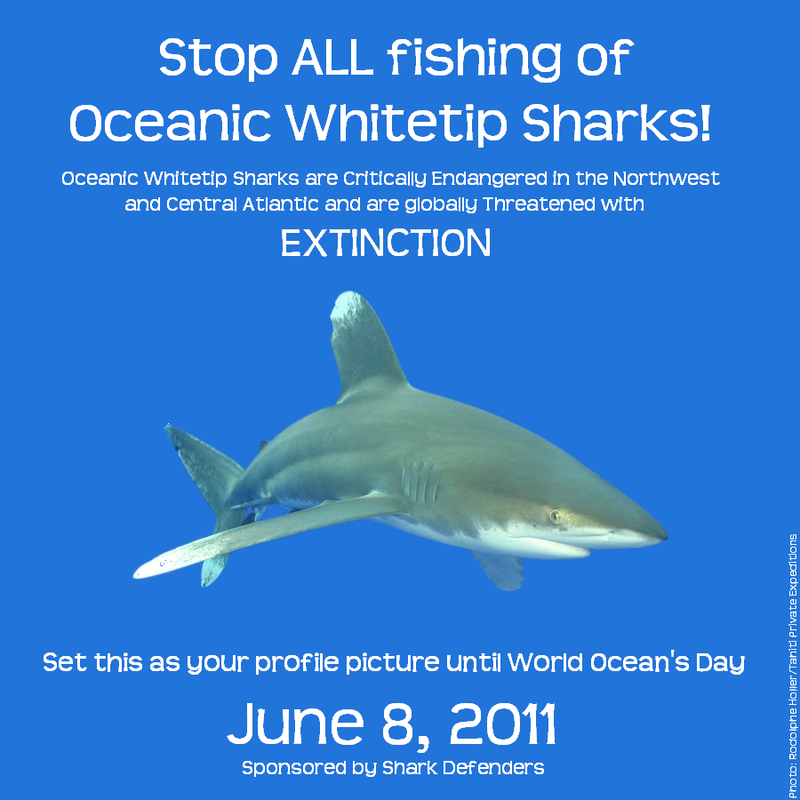 Something has to be done here – otherwise in a few years there will be no sharks left. The most effective way to protect the sharks is to change people's attitudes - in particular in Asia – raising awareness about the role of sharks in the marine biosphere, making shark fin soup unpopular among the Chinese and singling it out as an archaic tradition. A major stumbling block to this is the attitude of many people that sharks are brainless killers that make the seas an unsafe place for humans. A good friend of mine is in the kitchen accessories industry. On a night out, we got talking and came up with an idea: why not design a knife shaped like a shark to raise awareness about shark protection and improve the animal's image – the idea of the shark knife was born. We wanted to design a knife with an appealing look that would, quite literally, put the “cause for sharks” on the table every day. The next step was to look for a serious organization that is commited to the protection of sharks – since the Shark Foundation is one of the most reputable organizations dedicated to sharks in Germany and Switzerland, and as I am German, the choice was easy and we picked the Shark Foundation. 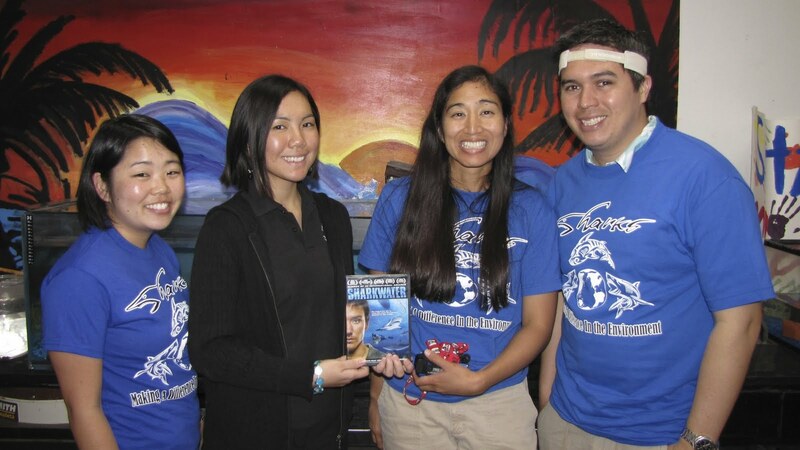 The Shark Foundation is one of the earliest shark lobby organizations. 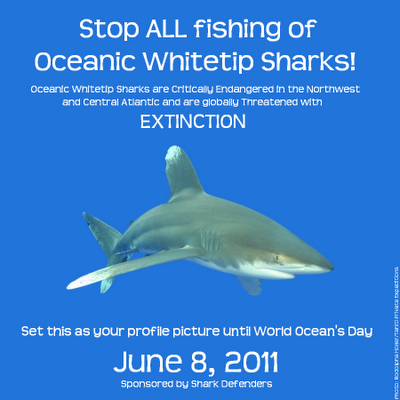 Founded in 1997, it is committed to the protection and preservation of sharks. Current projects include sponsoring of a marine reserve in Fiji, several shark identification research projects, scientific consultation for the government of Mozambique in creating a whale shark marine protected area and a traveling exhibition on sharks and their important role in the marine environment. 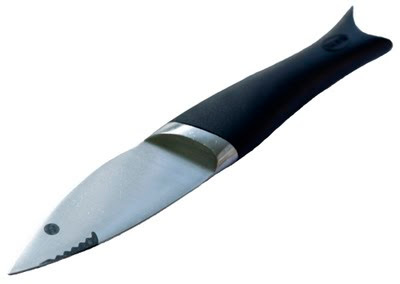 To support them, we will donate USD 0.70 to the Shark Foundation for every knife sold. Our biggest target markets are Hong Kong, Taiwan and Singapore, where there is not much awareness yet of the need to protect sharks. However, we're also selling the shark knives in other parts of the world. We have more upcoming projects in the pipeline for shark themed items that are linked to donations for shark and marine protection. The goal is to make a difference through donations, on the one hand, spreading the idea of “your daily shark encounter”, on the other, to raise awareness about these beautiful animals. This is a public service announcement brought to you by Shark Free Marinas. Please take a few moments to sign Pew Environment Group's petition to protect Oceanic Whitetip and Hammerhead Sharks in the United States. Oceanic whitetip and hammerhead sharks are some of the most amazing creatures in the world's oceans, but they are disappearing at an alarming rate. These top predators play a critical role in maintaining the balance of life in the sea, and their loss could cause irreversible damage to the oceans. Up to 73 million sharks are killed every year for their fins, valued for the Asian delicacy shark fin soup. Sharks grow slowly, mature late and produce few offspring over long life spans, making them particularly vulnerable to overexploitation and slow to recover from overfishing. This is particularly true for oceanic whitetip and hammerhead sharks, which have an even lower ability to recover from decline compared to most shark species. 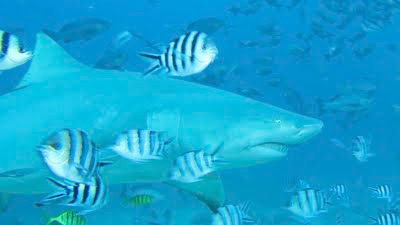 The IUCN Red List of Threatened Species classifies oceanic whitetips as Critically Endangered and hammerhead sharks as Endangered. Caught primarily for their fins for exports and generally not used for their meat, these lions and tigers of the ocean need special protection now. The United States has an opportunity to demonstrate global leadership for sharks by permanently protecting these threatened species in our waters. 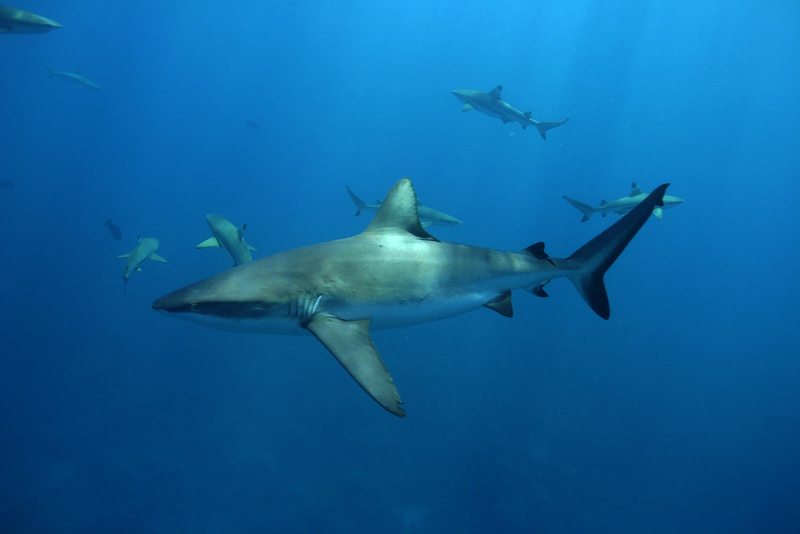 The National Marine Fisheries Service (NMFS) governs the management of sharks in U.S. ocean territory, and has supported proposals for global trade restrictions to ensure the future of these sharks. While the world deliberates, the U.S. should act now to permanently protect these species in our waters. 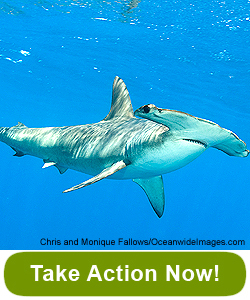 Tell NMFS it's time to stop catching hammerhead and oceanic whitetip sharks in U.S. waters! According to Island Times, Palau President Johnson Toribiong has terminated the agreement with Sea Shepherd Conservation Society to assist in patrolling the island nation's waters. (President Johnson)Toribiong wrote to Sea Shepherd president Paul Watson on May 11 to inform him of the termination. In March, Watson offered services by Sea Shepherd to Palau for the protection of the islands' waters from illegal fishing activities. Sea Shepherd was supposed to bring to the island its assets such as ships and helicopters at no cost for Palau government. Japan was opposed to the agreement with Sea Shepherd and offered in April to provide enforcement resources, but Island Times cites the United States as being responsible for the change in policy. In Toribiong's letter to Watson, the president reasoned that the United States under the Compact of Free Association with Palau has the exclusive right to regulate the presence of anyone within the islands' jurisdiction. He added that the US has expressed "concerns" about the presence of SSCS here, thus, terminating the agreement. As to what these concerns are, the president however did not elaborate. 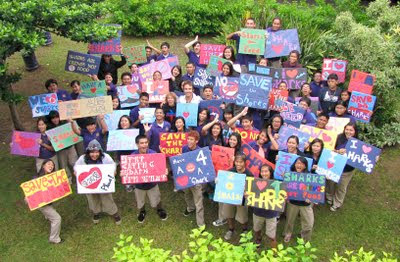 Toribiong thanked Sea Shepherd for its offer to assist Palau in patrolling its waters at no cost for the government. "As you know, my Government shares the Society's strong belief that illegal fishing activities, particularly the finning of sharks, cannot be condoned and need to be stopped. Your Society's offer to assist Palau I am sure was made in light of that belief and, rest assured, it was certainly accepted because of our shared goals. Thank you," the president said to Watson. A message from Rob Stewart to the students of Guam. There is a concern in Fiji that some Asian traders are using local fishermen to obtain fins. 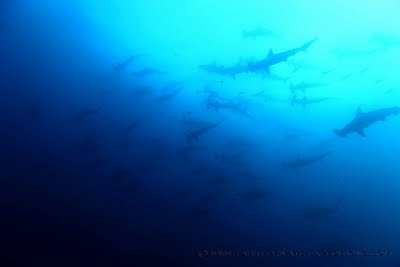 The Beqa Adventure Divers director, Mike Neuman, says sharks play important roles in local marine ecosystems and are worth more alive than dead. Mr Neuman says there have been instances where local fishermen are targetting sharks specifically for their fins. He says the fisherman are approached by Asian groups linked to the beche de mer or sea cucumber trade. He says 99.9 percent of these sharks are exported. 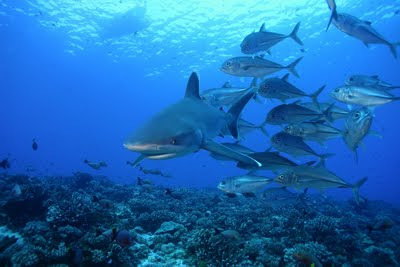 In 2009, Palau created its first shark sanctuary. Published by Radio New Zealand on May 8, 2011. I have always been drawn to the ocean, but I never really got to love her until I moved to the South Pacific. You see, I grew up a city girl in Europe and the United States, and back in those days I would not think of the sea on a daily basis like I do now. My experiences back then were limited to life in the city, and I didn’t have the opportunity to know the ocean the way I do now. I look back on those days and realize how different I am today – and scuba diving had a big role to play in that change. I’ve always been one to follow my dreams and a number of years ago (who’s counting how many? 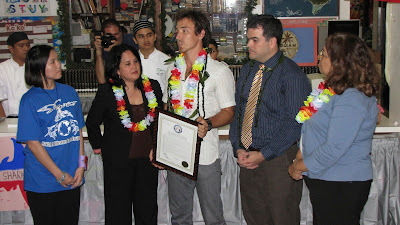 ), my interest in scuba diving took me for a year-long tour of the South Pacific. I was very excited about discovering dream-like islands, wonderful cultures, and seeing the crystal clear hues of a tropical lagoon for the very first time. My guide on this journey was Rodolphe, my dive instructor. He took me snorkeling and diving with beautiful tropical fish I had only seen in fish tanks and books. Gray Reef Shark. Photo: Rodolphe Holler, Tahiti Private Expeditions. My first shark encounter happened during a snorkel in the Loyalty Islands, about 100 km off the mainland of New Caledonia. I was swimming amongst coral heads in about one meter of water when I saw a blacktip reef shark a few feet away from me. Instantaneous primitive fear was my immediate reaction. Like a seal trying to escape a great white, I leapt out of the water onto the closest coral head and stood waiting for the two-foot shark to swim by and leave the area. Today when I think back on that day, very memorable indeed, I can’t help laughing! I have been diving in the South Pacific for over a decade and after thousands of dives I have gotten to know these incredible animals very well. That baby shark had probably been much more afraid of me, than I of him! Rodolphe, now my husband, and I never went back to live in our native country, France. We stayed in the Pacific and eventually settled in Tahiti and her islands in French Polynesia. Our adopted country is made of 1% land (118 islands spread over a territory as large as Western Europe) and 99% ocean. 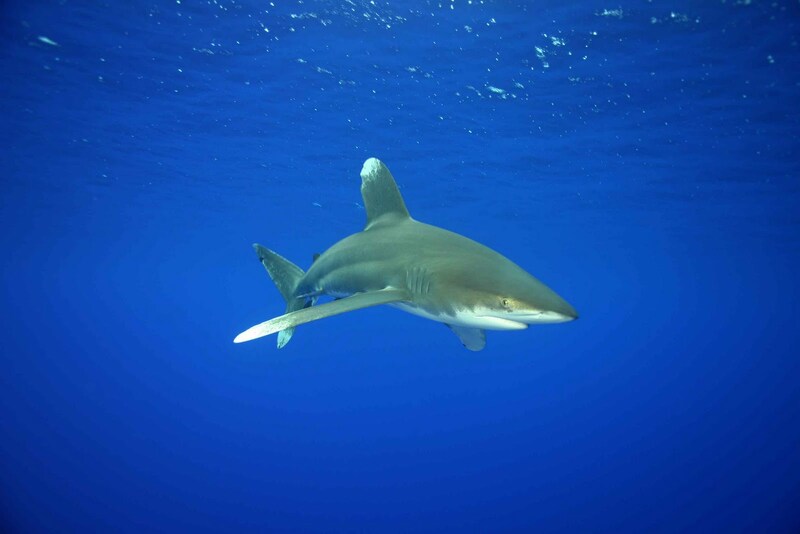 Unfortunately, despite some of the best diving in the world, including being able to boast of some of the Pacific’s healthiest shark populations, in the early 2000s, a few Asian traders introduced the shark fin industry to French Polynesia. The traders started touring around the islands, focusing on the remote atolls where making a living is a daily struggle and where most of the population lives on fishing. They told the islanders how easy it was to catch sharks on coral reefs, that there was a huge demand for shark fins in Asia, and that finning was much more lucrative than any other type of fishing. Prior to this the fishermen in Tahiti had never thought much about catching sharks. Sharks are usually not considered food and in ancient Polynesian legends they were protectors. Sharks were not feared by humans or hunted for meat. 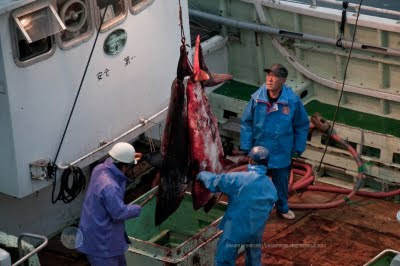 Yet faced with the opportunity to make a huge profit in a very short amount of time, many families started finning and sold the fins to the Asian traders when they returned. Of course, the larger the shark caught, the rarer the species, and thus the higher the price for the fins. At the same time, Rodolphe and I would regularly see old rusted Asian fishing vessels refueling at the main port of Papeete. The ships had hundreds of shark fins spread out on the main dock. Drying in the sun, the fins were a sign of a booming Tahitian finning industry. And this was all legal, no laws were being broken. It became obvious to those of us in French Polynesia who make a living from the ocean that the situation was turning sour. Targeting sharks by the hundreds and thousands solely for their fins certainly did not bode well. Then one day in 2003, something happened that convinced Rodolphe and me that the shark fishing going on in French Polynesia was totally unacceptable. Rodolphe was leading a dive in Rangiroa, one of the top shark destinations worldwide, just north of the main island of Tahiti. During the dive he heard a huge bang. The divers looked around and couldn’t figure out where the sound had come from, but within a minute, they group realized what was going on. A 2-meter silky shark, finless, was slowing sinking into the ocean, agonizing and alive. Unable to swim, the shark sank to the bottom where the only thing greeting it was a slow painful death. 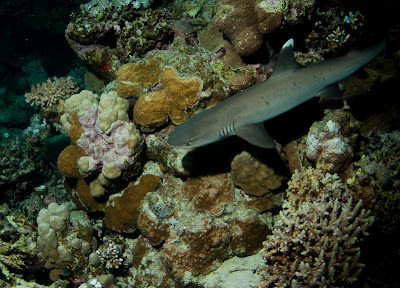 Blacktip Reef Shark. Photo: Rodolphe Holler, Tahiti Private Expeditions. This came as a huge trauma, but it led to action. An article was published in the local newspaper and a group formed to bring awareness to fishermen and politicians. In the local dive shops and café terraces, sharks became the most popular topic of discussion. It is really difficult in a country made mostly of ocean to convince politicians that banning shark fishing is a good thing for the economy. A large number of people rely on fishing as their living, and shark fins were providing much needed income for families. But at what cost was this income derived? Sharks are slow growing, take a long time to reach sexual maturity, and produce few young. After only a few years of a targeted fishery, sharks had disappeared from reefs where they had once been plentiful. French Polynesia was on pace to lose her sharks and something had to be done. After a long fight, with signature petitions flying around and with the support of a non-profit organization in France called Longitude 181, a bill banning the export and fishing of shark was passed and signed in 2006. 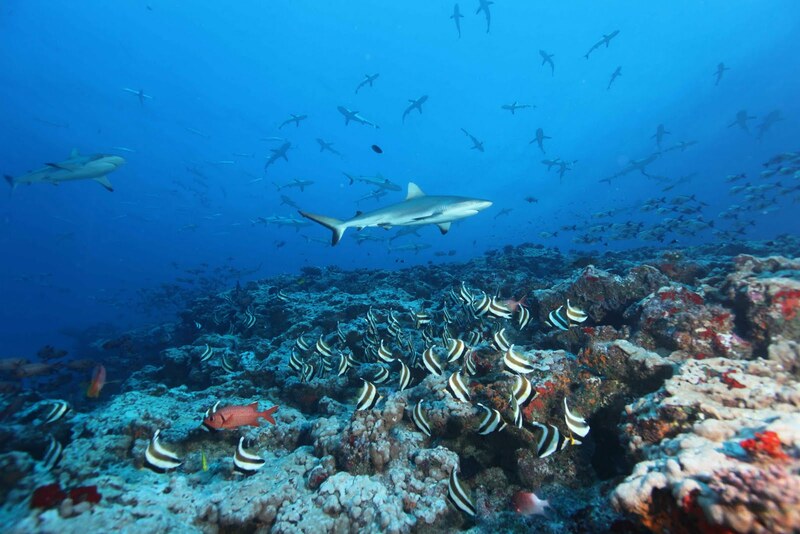 Local politicians eventually came to understand that making shark conservation a priority would serve the economy and culture of French Polynesia better over the long term. The other option provided a larger short term gain, but it was not sustainable. 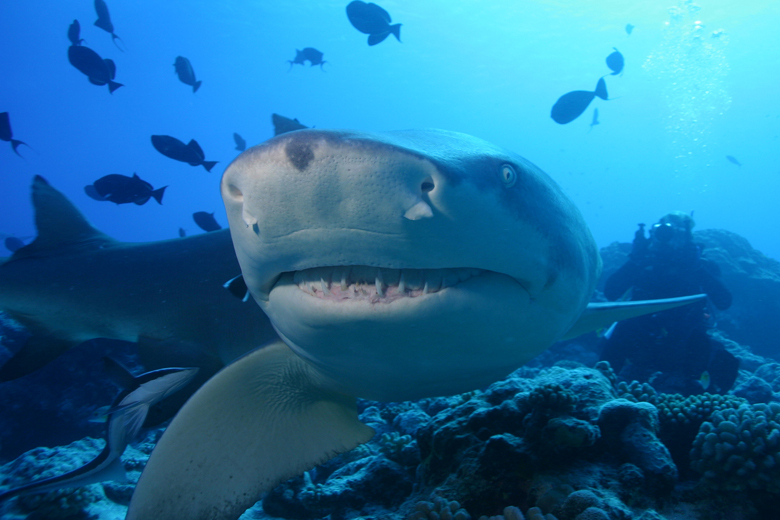 Among the world of divers, Tahiti and her islands are famous for being a great destination with amazing shark encounters. Although this was not communicated outside at the time, this was major unprecedented achievement worldwide and awesome news for sharks. Sicklefin Lemon Shark. Photo: Rodolphe Holler, Tahiti Private Expeditions. Today Rodolphe and I work with luxury private yachts. The owners of these ships have traveled the world, dived the most amazing areas of the ocean and think our country is among the best places they have been to due to its incredible varied wildlife and how easy it is to encounter up to 15 shark species during a single trip. Every time one of us or our guides are aboard a yacht, a lecture is held on the local marine wildlife with an important part on demystifying sharks and explaining the major role they play in our eco-system. Today, we do not see these Asian boats anymore, fishermen are back to their normal traditional fishing activities, divers are delighted to see sharks and the local tourism industry owes a lot to these beautiful fish. Silvertip Shark. Photo: Rodolphe Holler, Tahiti Private Expeditions. We all have a role to play in protecting the world’s sharks. We are very proud to have been part of French Polynesia’s protections and we truly hope more and more countries will join in shark conservation very soon. We have watched the recent shark conservation measures in Palau, Hawaii, Guam, and the Northern Mariana Islands and we are excited that other nations and territories are considering shark protections, too. 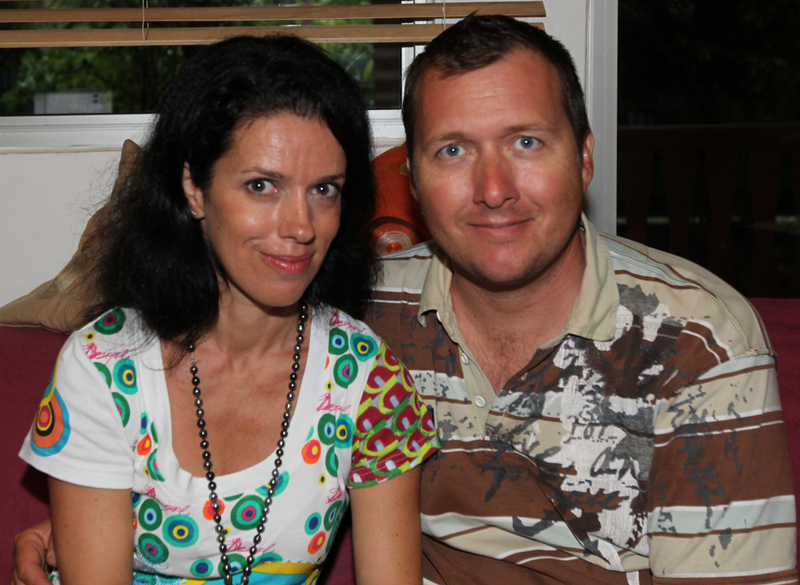 Christelle Holler-Miet lives in Moorea, French Polynesia with her husband Rodolphe. She is a consultant in the luxury private yacht industry and an avid diver. From left to right: Ev Quiel, President of Simon Sanchez' environmental club Sharks MADE, Senator Tina Rose Muña Barnes, Rob Stewart, Senator Rory Respicio, and Carlotta Leon Guerrero. Rob Stewart with some of the Simon Sanchez Sharks. Rob Stewart with some of the George Washington High School Geckos. 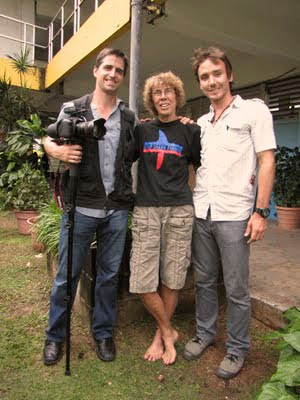 Shawn Heinrichs, Linda Tatreau, faculty advisor for Marine Mania, and Rob Stewart. 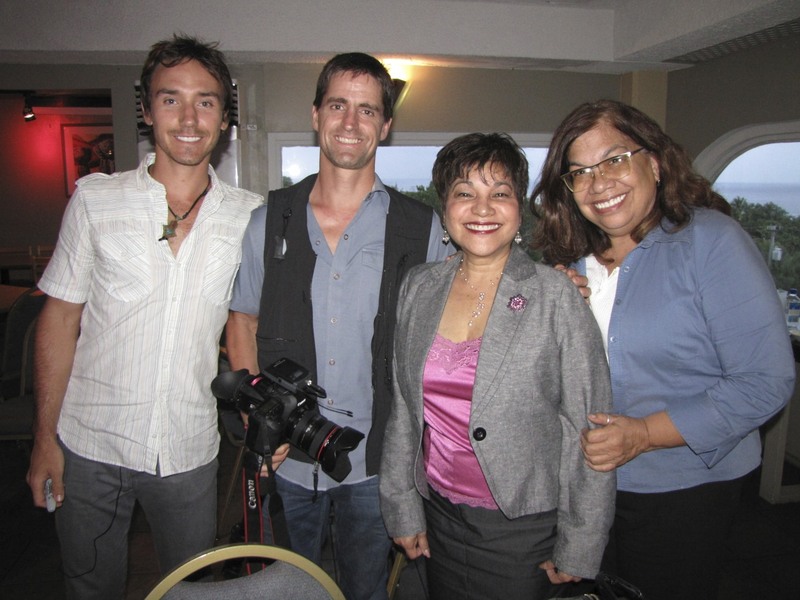 Rob Stewart, Shawn Heinrichs, Senate Speaker Judith T. Won Pat, and Carlotta Leon Guerrero. Jennifer Sawada, Ev Quiel, Melanie Blas, faculty advisor of Sharks MADE, and Angelo O'Connor Villagomez. Here are some pretty images of sharks set to some pretty music. 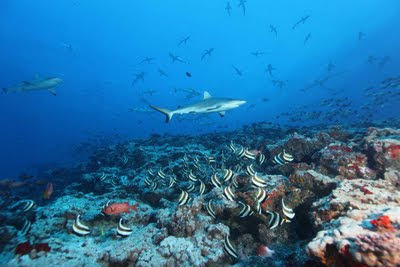 The video was shot by Sam Campbell while diving from the Nai'a, a liveaboard servicing Fiji. A new study by the Australian Institute of Marine Science concludes that sharks are worth far more alive and swimming. In Palau, the Pacific Island nation that declared its waters a sanctuary free of shark fishing, sharks provide a lynchpin for the tourism industry. The analysis quantified the economic benefits of Palau's shark-diving industry and found that its worth far exceeds that of shark fishing. In fact, the estimated annual value to the tourism industry of an individual reef shark that frequents these sites was US$179,000 or US$1.9 million over its lifetime. In contrast, a single reef shark would only bring an estimated US$108. Globally, up to 73 million sharks are killed every year primarily for their fins, which are used in the Asian delicacy shark fin soup. This unsustainable rate has driven shark populations into a global decline. In general, sharks grow slowly, mature late and produce few young over long lifetimes, leaving them exceptionally vulnerable to overexploitation and slow to recover from depletion. The Pacific Island States have been among the first to recognize the concerning global decline in sharks and took action. In 2009, President Johnson Toribiong declared Palauan waters to be a shark sanctuary in his address to the United Nations General Assembly. Since then, Hawaii, the Commonwealth of the Northern Mariana Islands, Guam, and the Marshall Islands all have prohibited the possession, sale or distribution of shark fins. The environmental rewards for protecting sharks benefit the entire ocean ecosystem. Sharks, apex predators, keep the marine food chain in balance. For example, tiger sharks have been linked to the quality of seagrass beds through their prey, dugongs and green sea turtles, which forage in these beds. Without tiger sharks to control their prey’s foraging, an important habitat is lost.